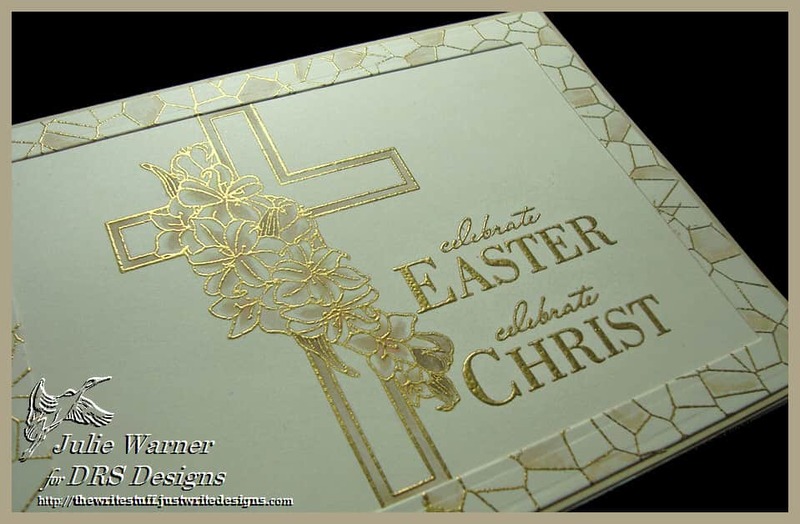 Today’s Clean & Simple Challenge (CAS425) is He is Risen…celebrate the Resurrection or raise something up, like using embossing. I did both on my cards. 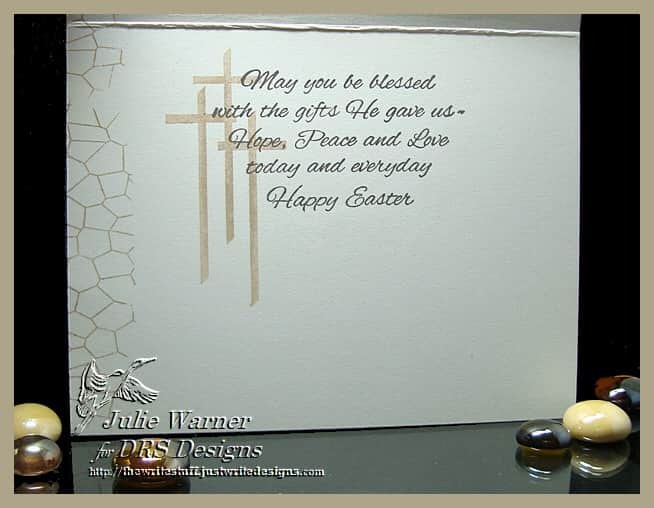 For this Easter card, I paired this beautiful new Celebrate Easter greeting w/ the Lily Cross & the Stained Glass Oval. I know the rectangle version would have worked better, but the oval is the one I have. I kept the colors neutral & the layout clean & simple to let the images shine. First I put the cross into my Misti & stamped it w/ desert sand. 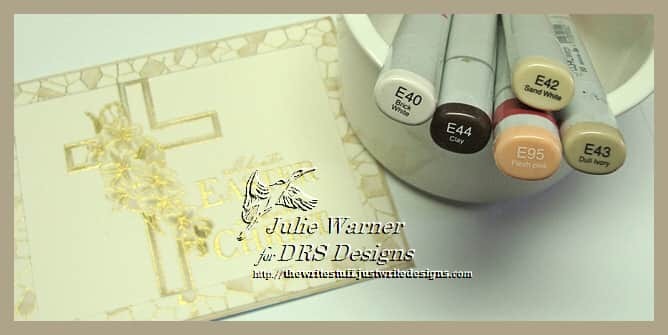 After lightly coloring it w/ Copics, I overstamped it w/ metallic gold ink then heat embossed it w/ gold powder. I did the same to the frame, coloring in just a few areas. In real life, the gold embossing is really pretty. You can see it a bit in the pic below. My second Easter card was really quick..the triple crosses were stamped on a die cut circle w/ the lilac ink, then the scripture quote was stamped on top w/ the grape ink. 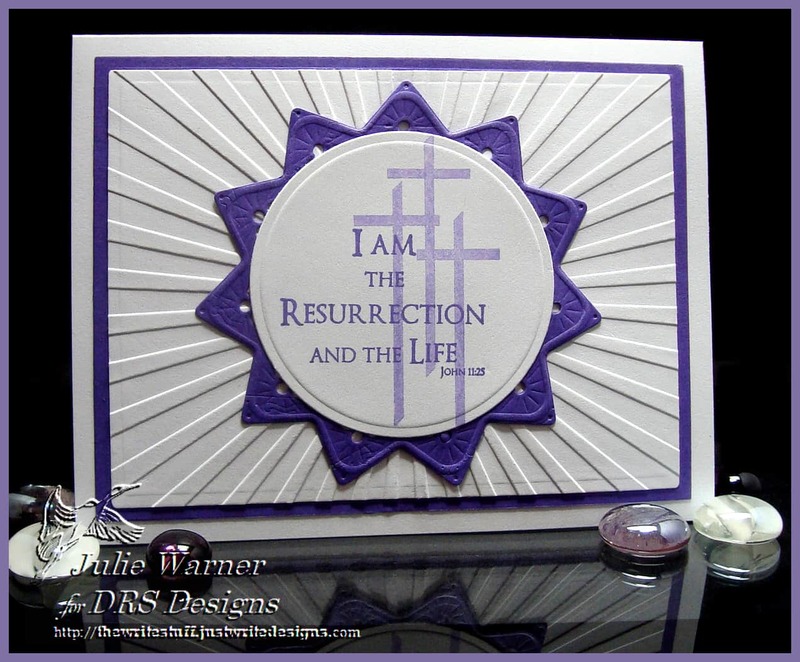 It was added to purple die cut & the white bg was embossed w/ a sun ray folder. Today’s Ways to Use It Challenge (WT475) is all about Ovals. Since ovals are one of my favorite shapes to use, this is my kind of challenge! 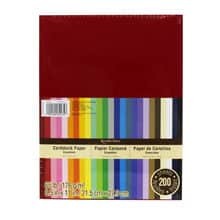 This card is actually not hard at all…I started by running a glue stick all over a piece of plain card stock then smoothing a piece of heavy duty aluminum foil down (I used the duller side up) on top of it. I cut one piece slightly smaller than my 4.25 x 5.50 card front, put it inside the fleur de lis embossing folder, then I put the lg oval frame of the Diffuser set on top and embossed. This left the oval center unembossed. I just happened to have a narrow black die cut oval frame that fit so I attached it around the oval. 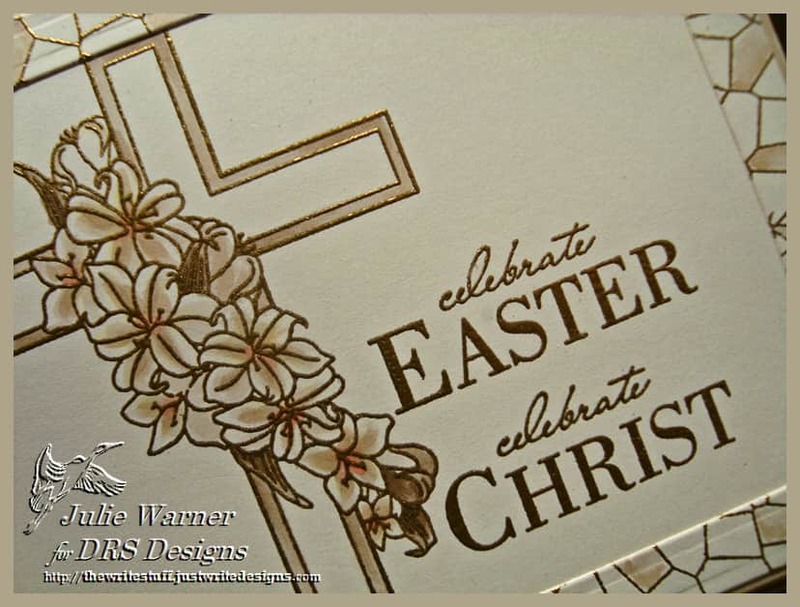 The 3 crosses were die cut out of trimmed off foil covered card stock I had left. 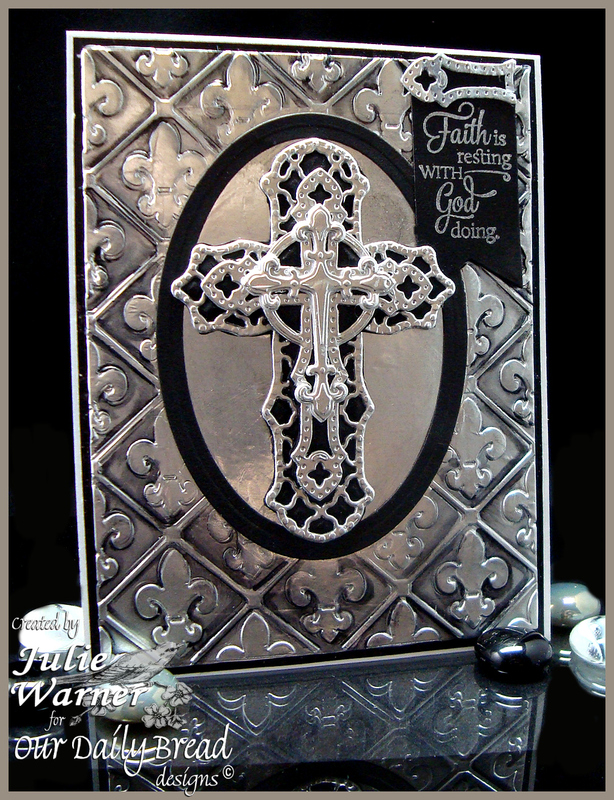 I also embossed only the same crosses on black card stock, fussy cut them & attached under the silver versions. On the embossed background, I used a black Copic marker to add the antiquing along the inside edges of each diamond shape & wiped it a bit w/ a paper towel as I went. Have you checked out the Splitcoast Featured Stamper (FS288) yet? Jean (naturecoastcrafter) has a lovely gallery and I chose her Here Comes the Sun to case. I kept the horizontal layout and flowers and butterfly, but I changed the colors, the images and added some flourishes. 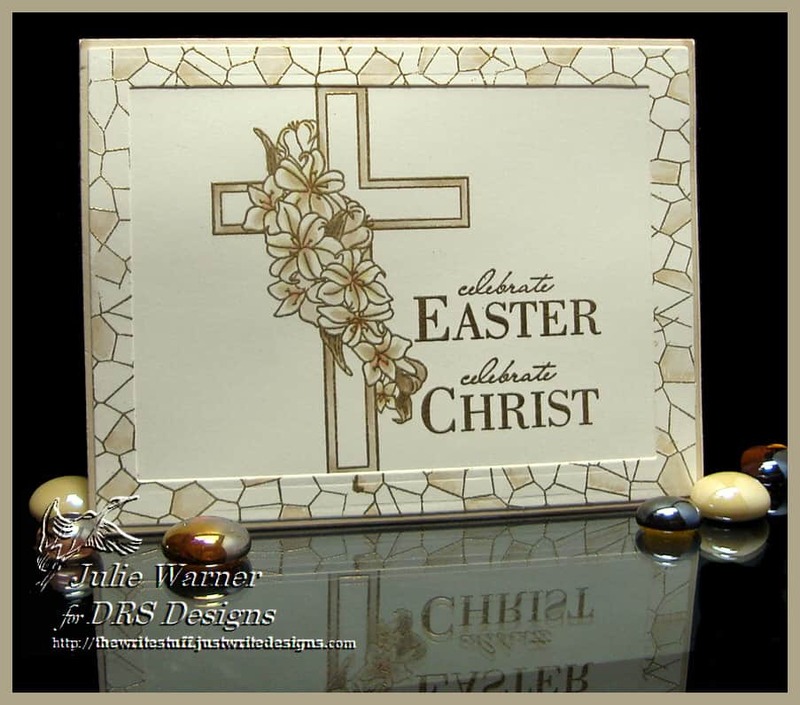 The images are from Our Daily Bread designs. The small flowers on the small layer are actually from a bookmark, but with a little masking, they work here, too. For the backgrounds, I sponged on colors from a Blue Breeze Kaleidacolor ink pad. Then I did a technique called Water Stamping that my friend Bev Gerard did a tutorial on this past week on Splitcoast. I love the soft, marbled look it gives. I stamped a portion of the same Daisy Background in black across the bottom. 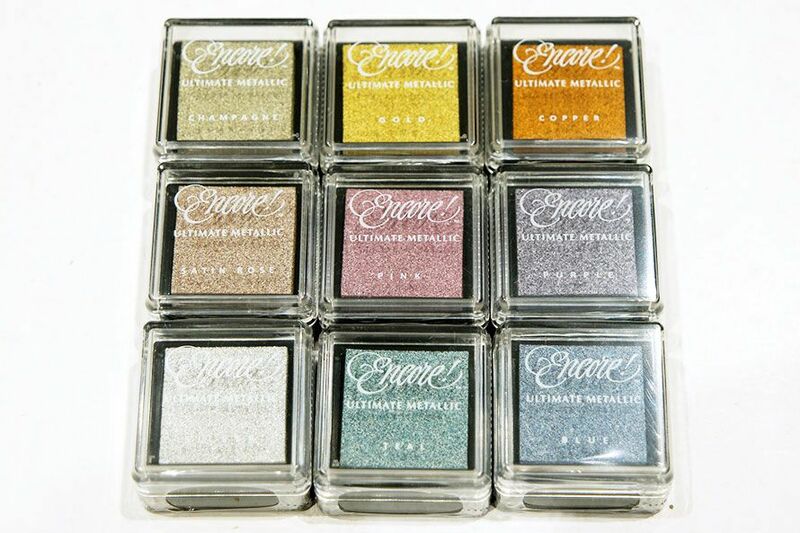 I like the way it helps “ground” everything. Just a few hightlights were added were a white gel pen. A sweet little Cheery Lynn flourish was added in the lower left corner and I used a Marianne Designs corner die in the upper right. 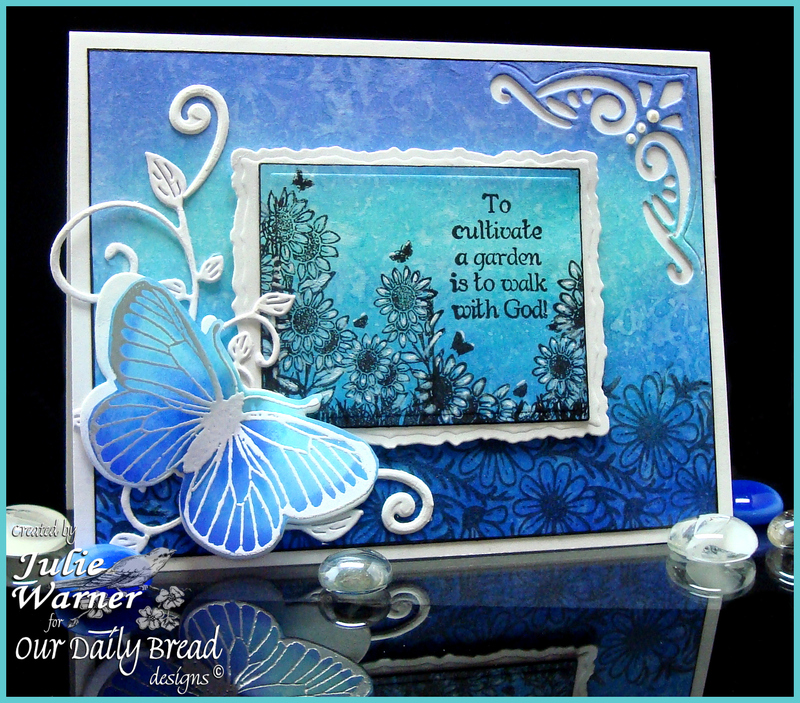 The butterfly was white embossed onto vellum, sponged w/ the same blue inks and die cut using the matching die. The finished card is 5.50 x 4.25. Thanks so much for stopping by! Congrats again to Jean!